A new low tech study has been conducted in the UK. According to this study we all have something to look forward to when we eventually make it past being 50. As the study states, sleep quality improves with age. Here I am thinking I get pretty good sleep already. Actually I get asked what my secret is about having great skin. Personally I used to say, thanks, I don’t know. However, my new response has been: sleep. Lots of sleep. I may stay up late at night, but I also sleep for about 8 hours. Thus my schedule is skewed from most people. But it doesn’t bother me. Oddly, I did a search of my music library and I see a small group of songs about sleep. So it’s a somewhat covered subject. What I see strange in that group is that all the songs are about problems in sleep. 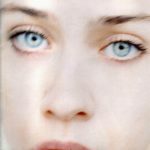 Though there is one exception called Sleep To Dream by Fiona Apple. Unfortunately for me that despite my getting great sleep, I don’t dream. At least not that I end up remembering dreams. On rare occasions I remember a dream or an inkling, but it’s not very often. Maybe once a year if I’m lucky. There’s my connection though. I’m going with my favorite tune from Fiona’s debut, Sleep To Dream. Produced by Jon Brion. The man, the myth, the legend. Jon has worked with some of the greatest musicians in history. He’s also written some amazing music. I’ve performed with him one night at Largo (his infamous hang). Brilliant musician. It’s fitting that Fiona enlisted Jon to produce her debut CD. I love the quality of the sound. It seriously enhances the quality of her song. It’s a unique and twisted song to start, but the sound really takes it to another level. While we’re young we don’t think much about sleep. Quite alright. Though I do make sure I get my sleep. I do it for the rest. What do you do it for? The best thing is, we can look forward to getting old if only for the fact that sleep quality improves with age. Love Fiona and don’t have the song? Get it! Love the blog? Sign up for the email list in the upper right. You’ll enjoy yourself.